Pattern – a spren from Words of Radiance by Brandon Sanderson. Generally the spren are interesting characters in this series, but Pattern is my absolute favorite at this point. Taggle – the cat in Plain Kate by Erin Bow, who can talk for specific magic reasons, and who is brilliantly cynical. Iko – an android in the Lunar Chronicles by Marissa Meyer. Supposedly, Iko’s chip is faulty, causing her to behave unlike androids, but Cinder considers her more of a friend, with a distinct personality that has grown out of her life experiences. Iko remains constant whether she’s inhabiting the body of beautiful-woman-android or a spaceship. 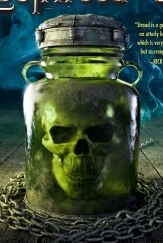 The Skull – a haunted talking skull in the Lockwood & Co series by Jonathan Stroud. Lucy, narrator of the series, is the only person who can communicate with this very rare kind of ghost, and the Skull is often irascible, rude, whiny, manipulative, and dangerous. Still, he’s saved her life a couple times, and I’m unaccountably fond of him. Nightblood – a sentient sword in Warbreaker by Brandon Sanderson. Nightblood was created to destroy evil, but has no concept of what evil is, and is quite a cheerful little destructive beast. 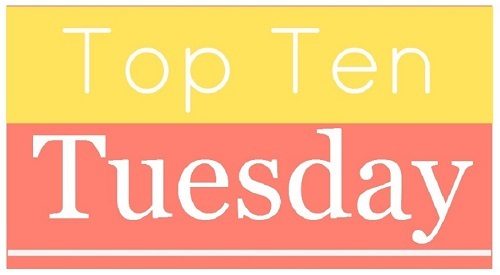 Wanderer – the alien creature living inside a human body in The Host by Stephanie Meyer. Because she lives in a human body, Wanderer (or Wanda) appears human in many ways, even in personality and thought, but is also distinctively her own species. 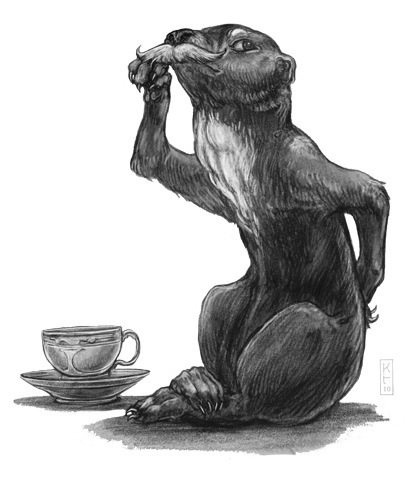 Bovril – a perspicacious loris in the Leviathan series by Scott Westerfeld. He’s a bizarre created-in-a-lab creature with excellent wit that made me smile every time he started talking. The Cat – an unnamed cat in Coraline by Neil Gaiman. In the regular world, the cat is just a stray cat on the properly. In the other world, he can speak, and acts as a mentor for Coraline. TenSoon – a kandra from the Mistborn series by Brandon Sanderson. I won’t talk about TenSoon’s role in these books as it would be major spoilers, but regardless, I completely fell in love with him! Mirko – a rapion in Firstborn by Lorie Ann Grover. Rapion bond with their humans over a single year, growing into human size and eventually able to communicate both with gestures and telepathically. The connection is so intricate that if one half of the pair dies, the other will as well, as if the bond is something physical as well as emotional. What are some of your favorite creature-characters? Interesting list here. I agree that Wanderer is pretty spectacular. I do love Bob the Skull from the Harry Dresden series. As for other non-human characters I love, that will require some thought. I don’t think his personality really starts to shine until later in the series. In the first book, you are still trying to learn about Harry’s world. Should you ever continue the series (after re-reading the first book), you will enjoy Bob a lot. He is hilarious. He must be quite the character! Can I count Calcifer from Howl’s Moving Castle? Calcifer! How could I forget him? He definitely counts! And he’s definitely one of my favorites as well!